There It Is – Much like Don Quixote, we ride hard, we ride relentlessly to create the next great innovation that will topple the evil dragon, or whatever you call companies that aren’t your favorite. There are certain words most writers love to use. You know – breakthrough, leading edge, market changing, user defining. Yes, and the ones headline writers, publicists like best… Innovative, Innovation. Admit it; we all like to use them to when we’re talking about our whatever. I think it’s impossible to say what an innovation is when it’s so close to you. You know, stuff that changed the way people live/work around the world. Everything else? Stuff to help people work, play, fill in the time. Go to CES (Consumer Electronics Show), Creative Storage Conference, Flash Memory Summit, Nvidia’s GPU Conference, Cisco’s Live, HP Discover, Dell Enterprise Forum, Apple’s WWDC, Microsoft’s TechEd and all of the others. All you see/hear about are the great innovations that have been made since the last time you were there. And yes…those before were real innovations! Thomas Edison is credited with developing electricity (we credit Tesla) and hundreds of other great stuff. He also developed a lot of duds. 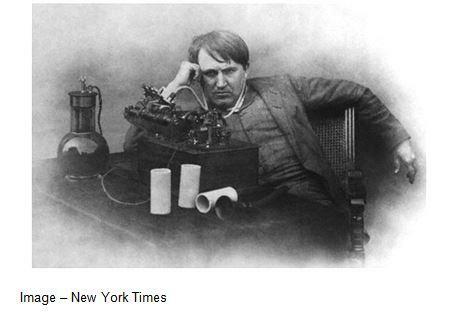 Success, Failure – Even Edison had his off days when his ideas, creations got nowhere fast. Leading edge, break-through ideas often don’t live too long because the risk of failure is too great. We’re not an Apple fanboy but ever since Jobs died, everyone has been knocking the organization and especially Tim Cook, saying they’ve lost that magic touch. Except for a few people who were shown the door because of over-aggressive ambition, the company still has the same team of engineers, designers and marketers. They’re people any “normal” company would give anything to have but it’s a team that still has the same focus. We tend to forget that Apple borrowed a lot of great ideas from Xerox’s PARC and we’re not certain where they got them from. 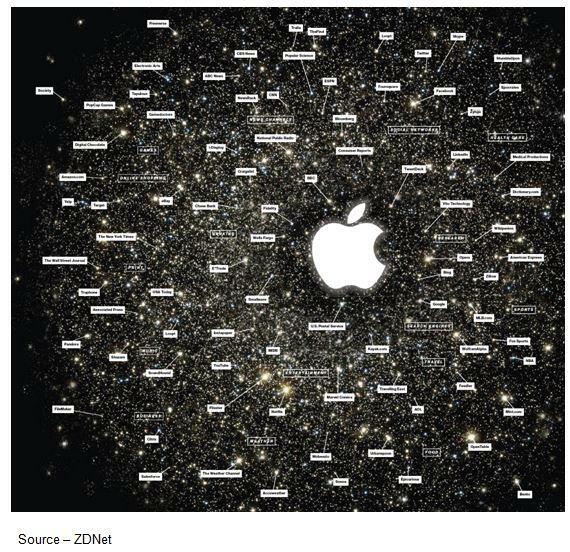 A Universe – There are those out there that believe everything revolves around Apple; and while it probably isn’t true, the company has done (or at least shown) more things right than wrong. As a result, thousands of satellite organizations have built great businesses providing add-ons, add-ins and apps. But they created a totally unique universe others lust for. I wouldn’t want Cook’s job. When he took the helm he was damned if he did, damned if he didn’t. Remember, he was an ops guy who is credited with developing one of the most efficient, most effective supplier chains … ever. Some folks like to forget when Jobs talked Sculley into leaving the sugar water business and head up the company. Cook is a guy Jobs liked, respected and trusted but was different. Leading a Leader – Tim Cook stepped into a role to lead Apple forward when Jobs passed away. No one said it would be easy but he’s borne the burden – and mantle – pretty darn well. Most of the photos you see of Tim he either looks like he’s really, really thinking – hard – or he’s smiling and his eyes are dancing. He also realizes he’s got an awesome team, a legacy to preserve and no matter how innovative he is (using that loosely), it will never be enough … just different. It’s easier for Cisco’s Chambers, HP’s Whitman, Dell’s Michael, Amazon’s Bezos, IBM’s Rometty, Nvidia’s Huang, pick your company/favorite. Either they came in to clean up a mess, they founded the company or you can’t remember their predecessor. The question you have to ask about these or any “innovator” is how many innovations can we absorb? We have a relentless parade of new technologies, new products, new ideas and innovations. The speed of introduction is something only teens, tweens just gotta’ have. OMG It’s It – Unfortunately, innovators and wannabes in the industry aren’t rock stars and don’t have the huge adoring public clamoring for their autographs and other mementos. But the results of their efforts produce millions, even billions in sales and mobs of people who swear the device/thing is changing their lives … forever. Not every new technology, new product or new thing is going to change the course of our business and/or social landscape. It takes time to disrupt status quo, change the way people work/live, rearrange the world continuum. It’s more like Gartner’s hype cycle. “Instant Success” – We don’t recall a product that was honestly a wild, instant success; even though pundits like to say that it is changing the way we work, eat, live, date. Pockets of demand are good (and necessary) but for a product or service to be a real success it has to attract more than one-two million customers since there are over seven billion people on the planet and most are waiting to see. Really innovative products take time to take hold. Do you think a product should be any different? Organizations like McKinsey, Booz, Forrester and others make educated guesses on which new products, new ideas, new processes will deliver the really big winners in 5-10 years. In the nearer term, CEOs stand up at conferences and conventions working to convince you that what he/she is unveiling is the thing! And they just might be right … It takes time for people to absorb it into their mainstream or blow it off. “Experts” love to say that the U.S. – heck, the industry – has lost its ability to innovate and that’s why everything didn’t recover as quickly as it should. But innovation always means you’re working on the edge of the technology and your chances of failing are a lot better than succeeding. So the company’s take the low-risk innovations … you know, line extensions. Or, if someone develops something really innovative and it doesn’t achieve instant financial success, it’s a failure and he/she is shown the door. 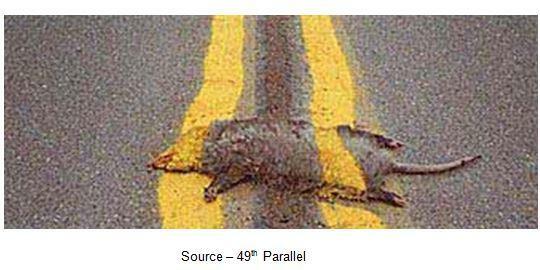 Road Kill – Individuals and entire teams who have put all of their blood, sweat, tears, time into turning an idea into reality often don’t reap the rewards and are left behind. Yeah, that’s a helluva’ set of incentives for real innovators! Don’t know how to tell you but innovation is really, really hard. Big data and advanced analytics – if all that data is good enough for the world’s intelligence groups, just let your mind go wild on what it could do for your company as you mine for product ideas. Interact with, listen to customers – it’s surprising what you can learn from people when you ask them about their experiences with your products and services, instead of what you designed/developed them to do. Social technologies are more than a consumer phenomenon; they connect your organization internally and externally. Crowd sourcing is hard, cumbersome and something you just might find will develop that AhHa product, service, idea. Remember, there are more than 3B people online and one or two have to have something worthwhile to share. Taking advantage of The Internet of All Things, where it is projected to link more than 50B objects/embedded sensors in a few years has to deliver a lot of very useful information. Of course you’re not going to bat 1,000 all the time; nor is anyone else. The boss’ challenge is to figure out which are the good ideas and which are great ideas.